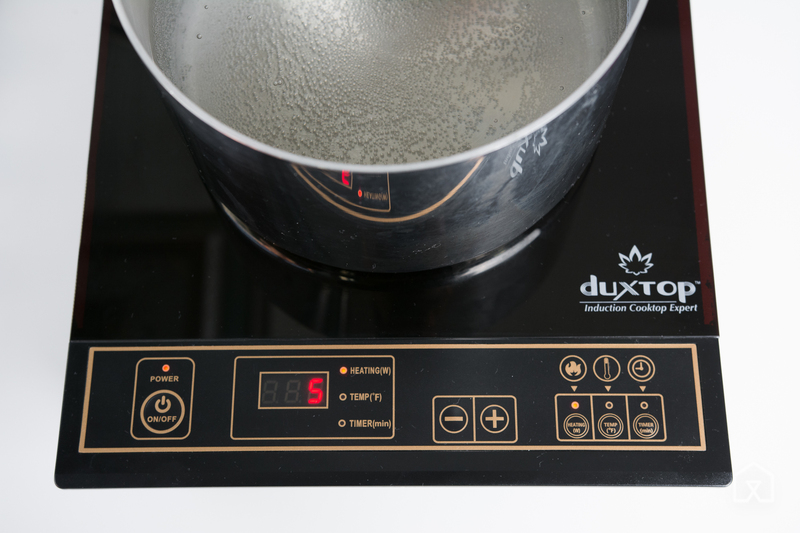 The Duxtop 8100MC Induction Cooktop is reasonably priced, boils water faster and is generally user friendly. After putting in more than 40 hours on research and testing, we're confident that the Duxtop 8100MC Induction Cooktop is the best for most people. This reasonably priced induction burner boils water quickly and cooks rice faster than the competition. Its easy-to-use interface allows you to choose between a power mode (for general cooking) and a temperature mode (for specific tasks like frying). Though full-size multiburner ranges are a great permanent option for many homes, for this guide, we focused on single burners between $60 and $140, as well as dual burners between $250 and $320. Dual burners are convenient for allowing you to cook two items at once: You can boil a large pot of water for pasta on one burner, while your tomato sauce simmers on the other. However, after testing both models, we found that dual induction burners are less powerful overall and ultimately aren't worth their steep price tag. We tested induction burners by timing how long it took 2 quarts of water to come to a boil in a 4-quart saucepan. 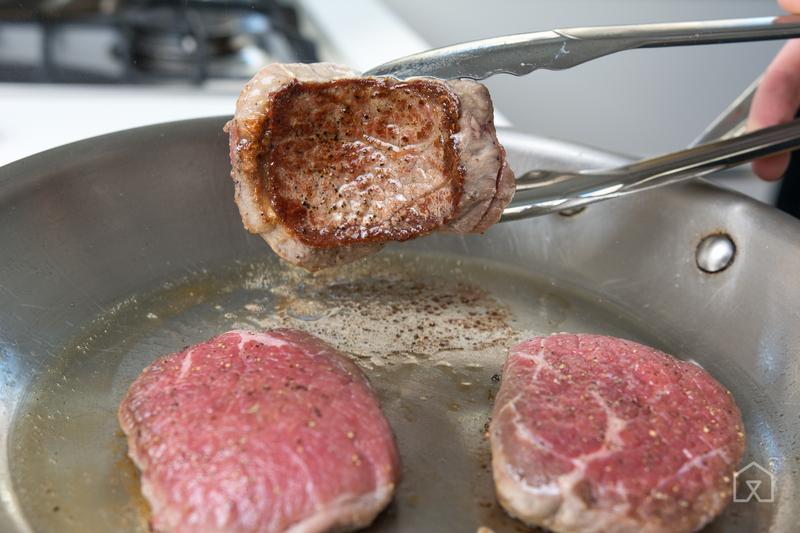 To test how hot the burners could get, we seared pieces of eye round beef to evaluate how evenly they would brown. We cooked batches of white rice to see if the burners could maintain a low simmer or would cause scorching. To see how evenly each burner distributed heat, we browned 2 tablespoons of flour in a 12-inch All-Clad skillet. We also tested models with automatic shutoff features and took note of any excessive buzzing or annoying beeps. Finally, we cooked many meals using the burners to get a feel for their overall practicality and ease of use. If you need an extra burner for your kitchen, the reasonably priced Duxtop 8100MC Induction Cooktop is the best that we tested. Though it was not a leader in all of our tests, it ranked high in all of them and lacks any glaring drawbacks. It has a straightforward control panel that allows you to easily adjust the power mode, temperature, and timer. 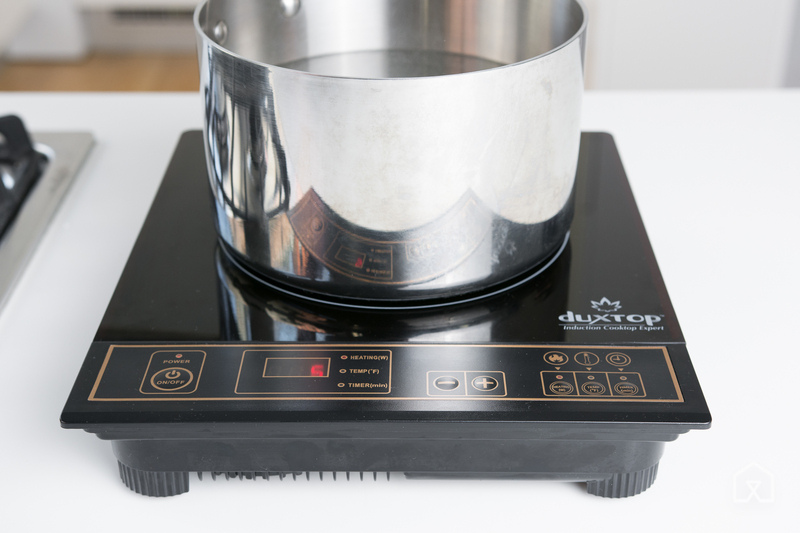 The Duxtop boils water quickly and cooks foods faster than other models we tested. It also comes with a number of user-friendly safety features to prevent overheating or to alert you if you accidentally use the wrong pan. Also, the single ceramic-glass top on this model makes cleanup a cinch. The Duxtop makes an audible buzz caused by the electromagnetic field, which is an annoyance we encountered with every model we tested. However, it was one of the quietest, especially alongside the Max Burton 6400. Though we liked the Duxtop burner the best, the Max Burton 6400 Digital Choice Induction Cooktop performed well in nearly all of our tests. It's a solid upgrade from our main pick, with a simple control panel, a bright digital display, and a sturdy base. The Max Burton 6400 boiled water the fastest and seared meat more evenly compared with the Duxtop. However, it has a noisier buzz than the Duxtop, it beeps loudly, and it's more expensive. Unlike gas or electric stovetops, which heat using thermal conduction, induction burners heat using electromagnetic induction. 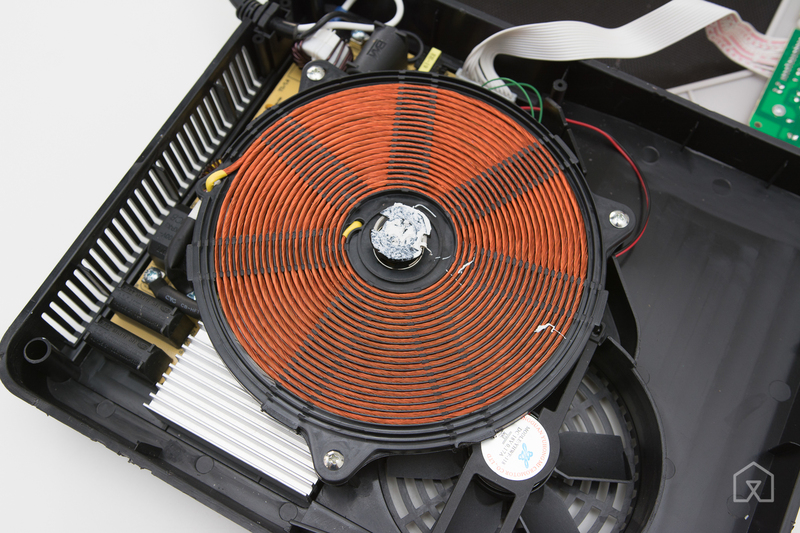 Below the surface of the glass-ceramic top in an induction burner is a magnetic wire coil. Electricity running through this coil makes a magnetic field that points directly up at the ceiling. Put an iron pot on top and the magnetic field makes the electrons in the pot's metal get up and dance. But iron (and iron-based metals like stainless steel) is a really poor electrical conductor, meaning that it's bad at letting electrical currents run freely through it, unlike metals such as gold and copper. This pent-up energy has nowhere to go, so instead it's released as heat. And—bangazoom!—the pot heats up to use as you please. What's unique about induction cooking is that heat is created directly in the pan instead of on the cooktop's surface, which allows for more immediate control of the heat source. Induction burners are also more energy-efficient than conventional gas or smooth-electric burners. The US Department of Energy compared the efficiency of energy transfer in residential cooking products and found that induction burners were 84 percent efficient, versus about 74 percent for smooth-electric cooktops and 40 percent for conventional gas burners. Because less energy is lost in the surrounding air when you cook with induction, your kitchen will remain cooler than it would if you were using gas. In our tests, induction cooktops brought water to a boil in almost half the time that conventional gas or electric burners did. 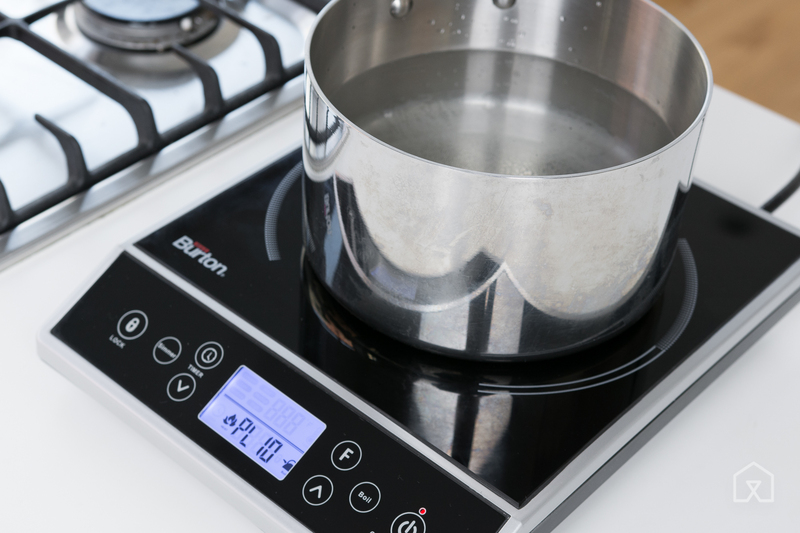 The fastest induction burner brought 2 quarts of water to a boil in a 4-quart saucepan in about 7 minutes, versus about 13½ minutes using a conventional gas burner, and almost 16 minutes using a smooth-electric cooktop. The speed, efficiency, and complexity of induction burners are what make them drastically more expensive than their portable electric or gas counterparts. Currently, the average single-burner induction cooktop goes for around $60, and electric models can cost as little as $10. Portable gas burners are usually around $30, but require butane tanks that are sold separately.